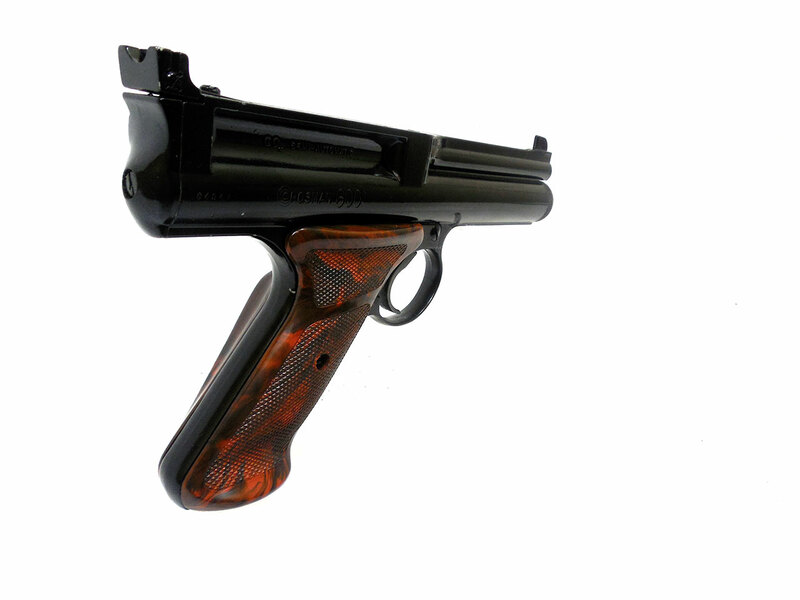 The Crosman 600 was made from 1960 to 1970 and is often referred to as the pinnacle of Crosman airgun development, and features one of Crosman’s most sophisticated trigger designs. 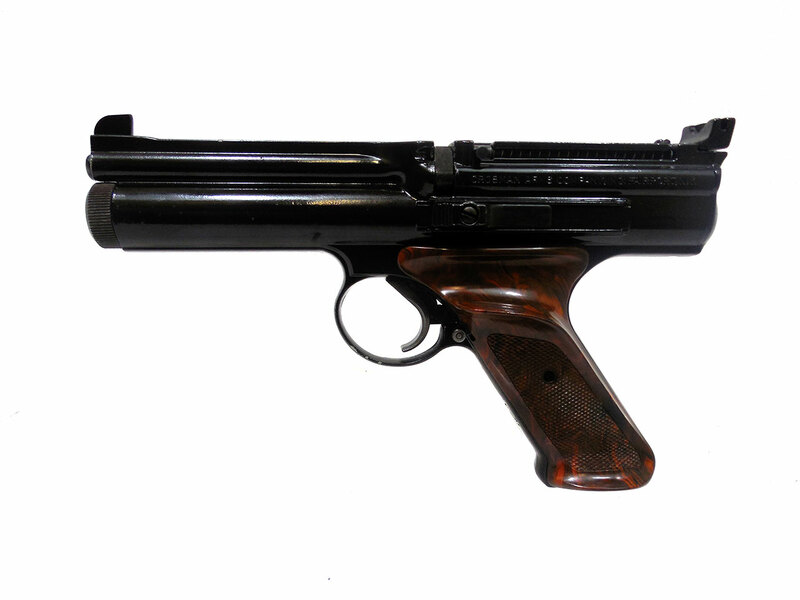 It is a .22 caliber, CO2, semi-auto with a 10 shot spring fed inline magazine. This is the 2nd variant which has a point inside the piercing cap, and pierces the CO2 from the muzzle end of the gun (no push button). They were manufactured between 1960 and 1970. There are a few nicks and dings in the paint, but metal has been repainted, and they did a nice job. The grips are in very good condition. No cracks or warping. It was also cleaned, lubed, and resealed in our shop. 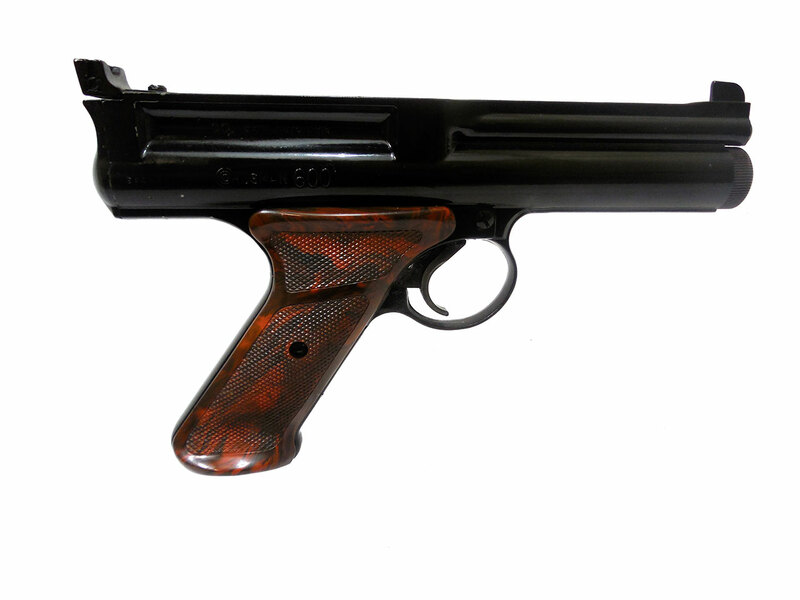 Velocity was tested using lead pellets at around 332 fps.